The remarkable story of Judy the English Pointer. 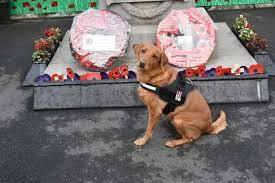 Judy was the only known dog in the second world war to become an English prisoner of war. In February 1942 she alerted the crew onboard H.M.S Grasshopper that Japanese bombers were approaching, not just 1 or 2 planes but 100! Because of her barking the passengers and crew we able to all get to safety on an uninhabited island. As supplies ran low Judy could sense what her human family needed and started to dig a hole where she found a stream of clear running water. The crew and Judy were finally picked up by a Dutch ship and taken to Sumatra which at that time was under Japanese occupation, the crew was sent to Camp Glengore One. With everyone including Judy suffering from hunger a plan was hatched by private Cousens and Les Searle to steal a bag of rice from their captors. The next day 2 Japanese guards came into the hut for a surprise inspection, as they got to the last bed where the rice was hidden, Judy appeared and started growling and snarling at the guards to stop them in their tracks and they instantly left the hut! 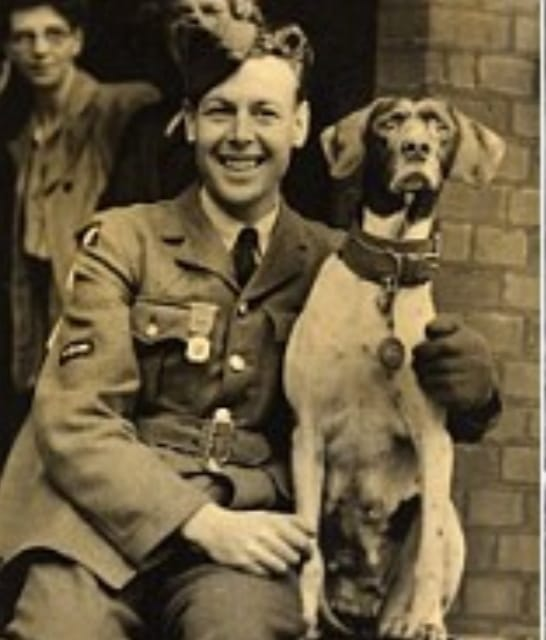 One of Judy’s other protectors Leading Aircraftman Frank Williams could see that Judy was becoming malnourished, he could see her bones and she was becoming weaker and weaker, little did he know that Judy was actually pregnant! He came up with a plan to get Judy her own rations but this would mean her having her own PoW number. 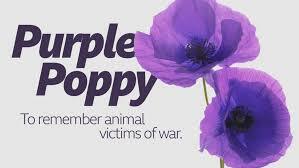 When Judy’s puppies were born Frank gave one to the Colonels’ dog loving girlfriend as a peace offering and in return Judy received PoW status and the first dog to be allocated a PoW number (POW81A). The last week of July 1944 the prisoners were moved back to Sumatra to work as slaves on the railroad. This is where Judy would protect her comrades from beatings from the Japanese guards and often take them herself, she was shot at a number of time and manage to dodge the bullets! In August 1945 Judy cheated death again as she caught lice. The Japanese guards were under orders to shoot her so with a flick of Franks fingers she would hide in the undergrowth until it was safe for her to come out. The sixth sence that had saved so many of her human companions was finally saving her own! The end of the war came and luckily Frank Williams and Judy had survived. Judy was later awarded the Dickins Medal For “magnificent courage and endurance in Japanese prison camps which helped maintain morale among her fellow prisoners and also for saving many lives through her intelligence and watchfulness.” In 1947 Frank emmigrated to Tanzania taking his beloved Judy with him where she would see out her final years in peace. Judy Died in 1950 at the age of 14 her body was laid to rest wrapped in an RAF Jacket. Her memory lives on in books that were written about her. If it wasn’t for Frank she would have died in the PoW camp and if it wasn’t for Judy Frank wouldn’t have survived to tell her story. Dogs have always been a part of our lives. They do so much for us.